We went in for our first ultrasound (trans-vag.) 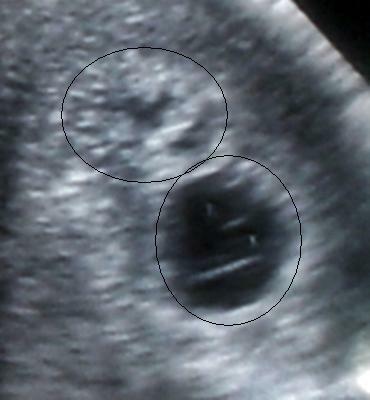 to determine the due date and was told we are having twins. The twin on the top is really fuzzy on this U/S (clearly visible during the U/S) but that was the only photo I was given. I go back in 6 days for another U/S to confirm the due date and heart rates. I will definitely post the next U/S picture. Congrats on your new little ones!